Phoenix, AZ – August 7, 2017 – ABI Multifamily, the Western US's leading multifamily brokerage and advisory services firm, is pleased to announce the $2,690,000 / $99,630 Per Unit sale of the Country Club Apartments, a 27-unit apartment community located in Tempe, Arizona. The property is a two-story apartment community, built of block construction in 1963 and rests on 0.77 acres. The property features (6) 1-bedroom units and (21) 2-bedroom (townhouse) units with an average size of 889 square feet. 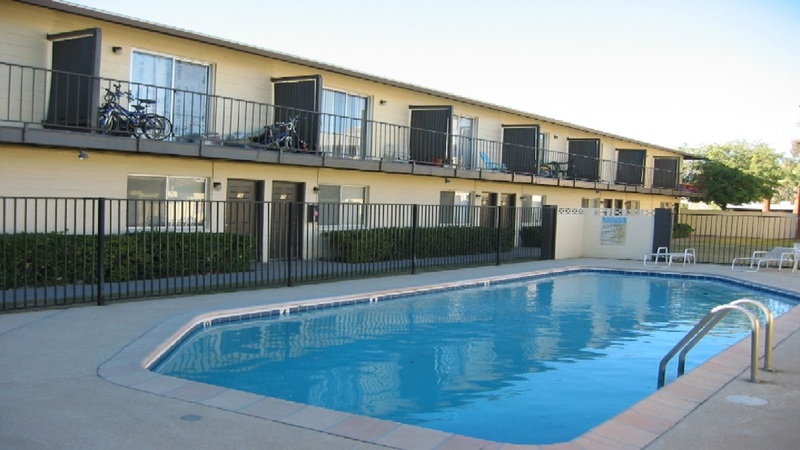 Each unit is individually metered for electricity and property features a pool and laundry facilities. "The Seller purchased the property several years ago and was able to maintain a good tenant base with high occupancy rates," states Ryan Smith, Vice Presidents at ABI, who along with Rue Bax, Senior Managing Partner, represented the Seller and Buyer in the transaction. According to Rue Bax, "The Buyer saw a great opportunity to purchase a property in the South Tempe submarket which is experiencing tremendous renter demand due to major construction and renter displacement in North Tempe. The Buyer intends to do a full renovation of the interior and exterior of the property to capitalize on this increased rental demand in the area." The Buyer was a private investment company based in California. The Phoenix based ABI Multifamily brokerage team of Rue Bax, Ryan Smith, John Klocek, Patrick Burch, Royce Munroe and Nathan Bruer represented the Buyer/Seller in this transaction.